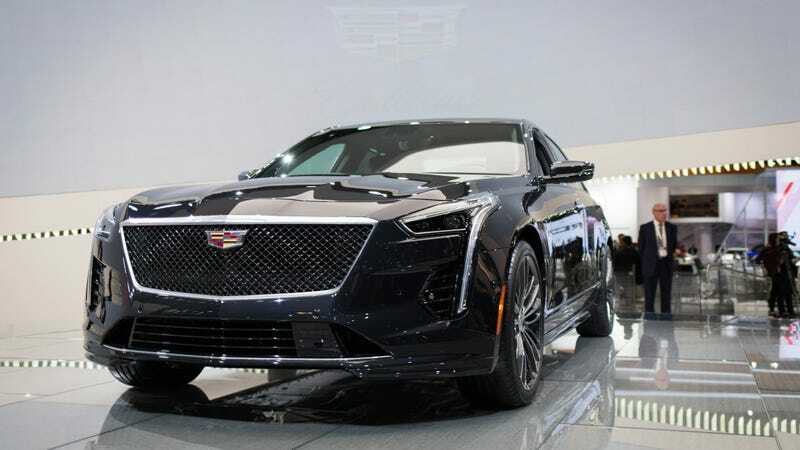 Modern Cadillacs have some of the most aggressive and awesome front ends on any car today. They are angular and sharp and mean and wonderful. And then you get to the back of the car and it’s like all the designers just... quit work a little early. To be fair, the rear that I mind the least is the one on the new CT6 V-Sport. That one has actual angles that fit elegantly with one another. It feels natural and not very rude on the eyes. The tail lights appear on the trunk and I think that silver line beneath the badge ties everything together nicely. Cadillac design is very vast body panel-heavy, so it’s important to break those up with creases or lines or else things get very blocky-looking. But I have always had a problem with the rear ends of all the other Cadillac models. And it’s always the same problem: Under-design. All of the design on the backs of those cars amounts to, like, four lines and some rectangles. It’s completely at odds with how front of the cars look. Up front, you have interesting shapes, cool light designs and hexagonal grilles. The backs are just so plain, dull and uninspired. Here’s an Escalade. It’s a square. Here’s an XT5. It’s not much better. And don’t even get me started on the rear of the new XT4. This one is at least trying, but trying and failing to be a Volvo. This is even true for the V models. They’ve got those cool Batman-esque lip spoilers—and the rest of the trunk and rear bumper just don’t maintain that attitude. Quad-tailpipes won’t save you there. Sorry. How is it possible that a brand-new CTS-V still looks like something from the 2000s? I understand that there’s something to be said about how simple designs are the most classic ones, but some how these aren’t achieving that. Hopefully we’ll see some design elements from the new CT6 V-Sport trickle down into the rest of the fleet. But for now, I might just park all of my future Cadillacs tail-in.